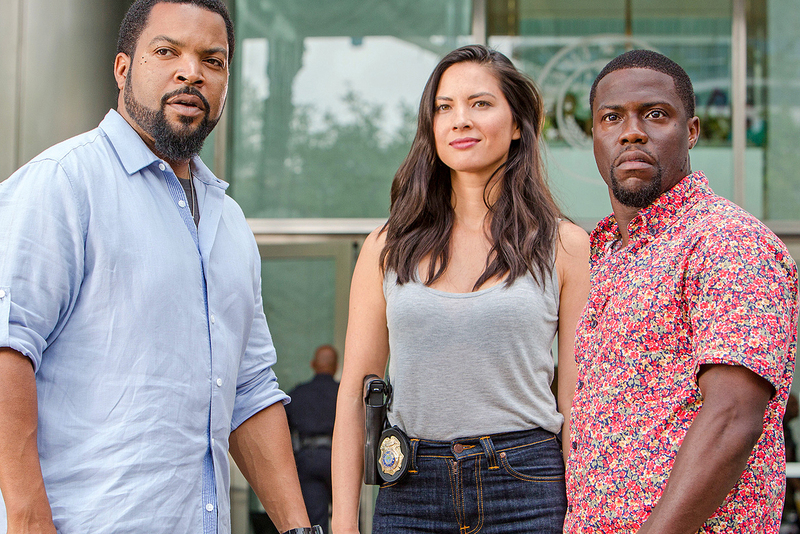 Following the massive success of 2014's Ride Along, it was inevitable the sequel would show. In the latest to toy with the mismatched buddy cop dynamic, Hart's Ben Barber remains a cop on probation, despite his dream to make detective. When Ice Cube's James is asked by his sister, Ben's fiancee, to take him to Miami ahead of his wedding on a lead in a drug-ring case, James begrudgingly accepts. 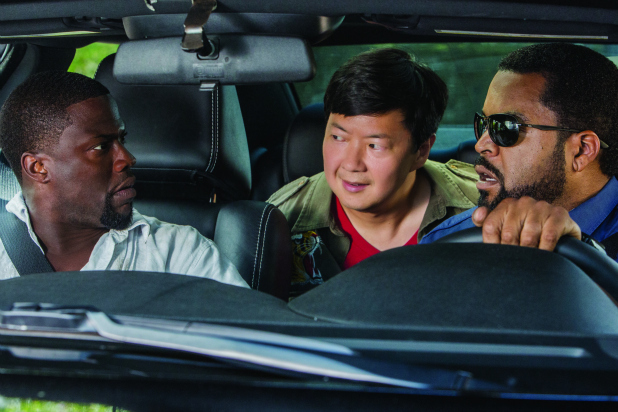 Following leads in the party town brings the less-than-dynamic-duo to computer hacker AJ (Community and The Hangover star Ken Jeong) who reveals that a local businessman is behind the ring and corruption is rife. Flat and lifeless (with a bizarrely suspense and action-free pre-credits sequence), Ride Along 2's script is muted; an almost bizarre juxtaposition to the flashy, trashy exterior shots in Miami that pepper most of the film. (Complete with writhing bikini bods for the more puerile members of the audience). From banal bickering between the pair to banter so inane from the "comedy" motormouth Kevin Hart it makes you want to pull your brain out through your nose (in case you forgot to check it at the door), Ride Along 2 simply grates. Trying to replicate the buddy cop genre and ripping off parts of a Lethal Weapon film with its protect the rat storyline, this tired film lacks any pizzazz thanks to its over-scripted dialogue. Ice Cube strives for straight arrow to Hart's incessantly chatting; with all his scowling and talk of the Po-lease, the script fails to hit any beat, even when Hart's Ben is proved right and the incompetent foolish Ben is given a few moments here and there to shine. The one time the film has some natural charm is toward the end during a wedding sequence that showcases the brother-in-law family vibe to better effect rather than the film's detriment and proves that a less strictly enforced script and looser attitude would have benefited it greatly. Olivia Munn's fairly wasted as a ball-breaker cop whose pristine business veneer shatters when Cube's cop asks her to the wedding (cos you know, women just go weak for lurve stuff) and Bratt musters enough slime as the suave corrupt rat. But it's Jeong who shows a bit more range in the Joe Pesci role going for more dramatic before resorting to his trademark shrieking. Story keeps proceedings on the straight and narrow with only one sign of directorial flair - the chase sequence in Miami, which is brought to life through Ben's Grand Theft Auto game obsession and becomes a race of pixels rather than the tired usual tropes of cars thudding into each other. In one sequence, Ice Cube's James intones to Hart's Ben "Do you even listen to some of the sh*t that comes out of your mouth?" and somehow manages to encapsulate how the audience will feel as this tired unoriginal sequel plays out. Equally, when AJ forces Ben to eat food from a trashcan, again there's a feeling that the audience will associate with this regurgitated fare that sticks in your craw. 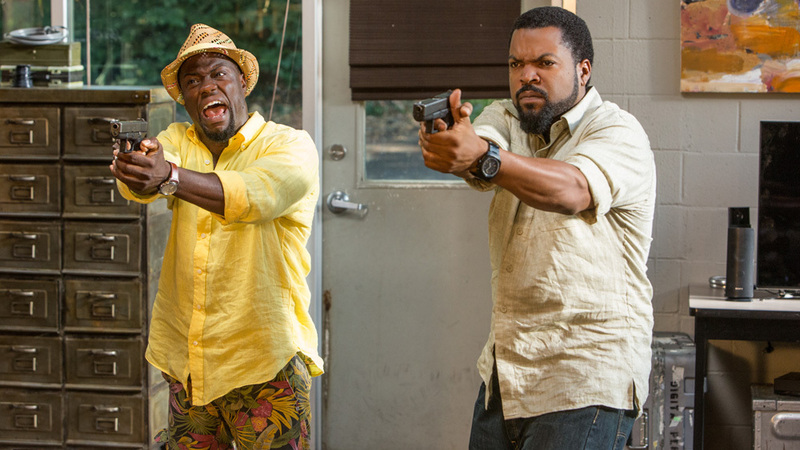 Sure, Ride Along 2 ain't exactly striving for Shakespearean heights, but in its quest to provide something formulaic, it ends up unlikely to stand out from the masses. Depressingly, this is the film which beat Star Wars: The Force Awakens at the US Box office, so a third outing seems more than likely - but frankly, this is one ride that deserves stopping so we can all get off.